Our Dedicated Sales Representatives are Waiting to Hear from You. As part of our highly personalized customer service, we have a dedicated sales representative in your area to serve you. This individual will walk you through the design phase and answer any questions you might have about building and purchasing your emergency response vehicle. 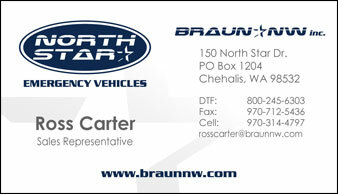 Please feel free to reach out to your local area sales representative directly using the contact information below.